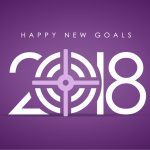 NWC Newsletter | C. Liston Communications, Inc.
For powerful organizations with limited staff resources, we man the “bat-phone” to serve as their on-call marketing staff. 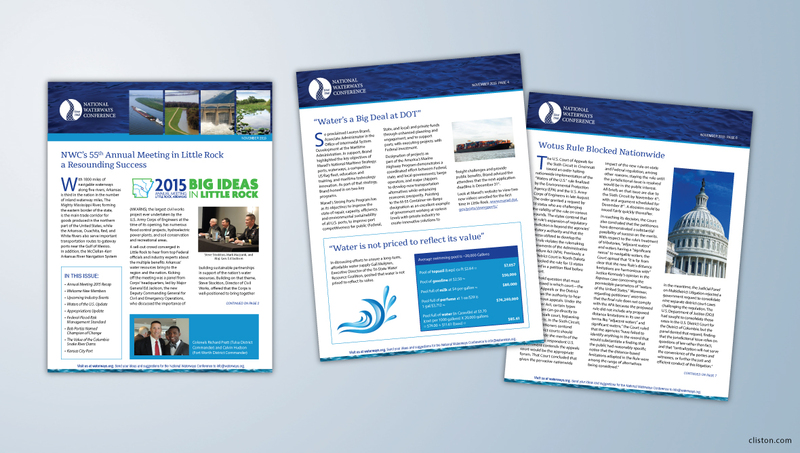 We began work for National Waterways Conference in 2012 by taking over their hybrid print/email newsletter, and have been available to tackle new projects as the staff was ready to pursue various communications goals. Our most recent project was creating a website that is easy for them to update in-house as important issues arise. Our work for The National Waterways Conference has included: Newsletter redesign and maintenance (2012-present), Website redesign, Annual Meeting logos and signage (2012, 2013, 2014 and 2015). The National Waterways Conference is the only national organization to advocate in favor of national policy and laws that recognize the vital importance of America’s water resources infrastructure to our nation’s well-being and quality of life. Established in 1960, NWC supports a sound balance between economic and human needs and environmental and ecological considerations.